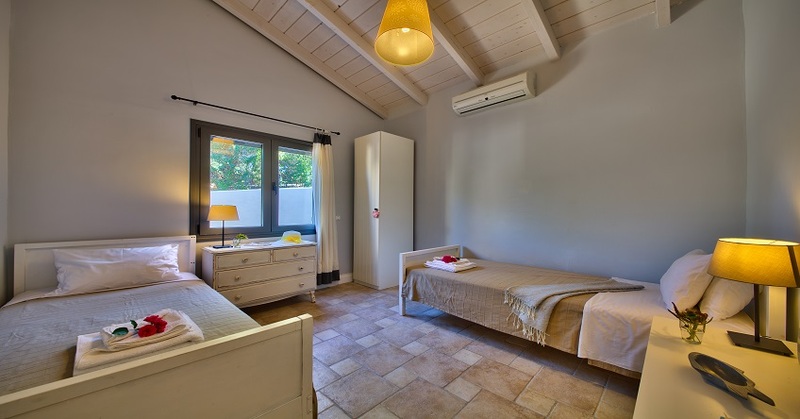 Etymologists have argued over the centuries about the derivation of the island we know today as Paxos. They still do! Perhaps the most accurate theory to date is that it takes its name from “Pax” meaning peace. And of course the universal symbol for peace is the olive branch. 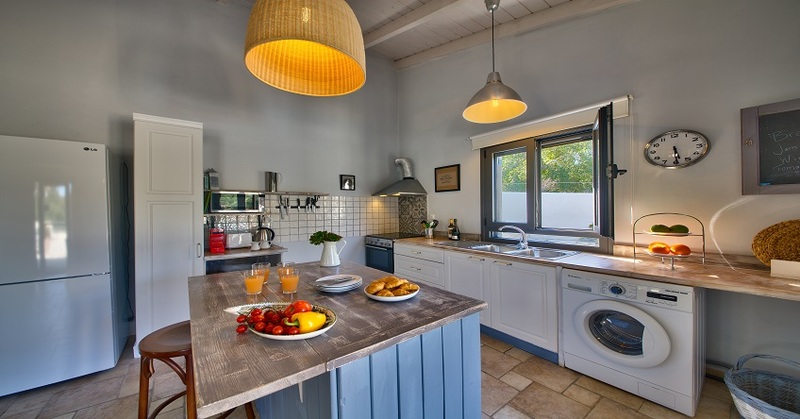 When one adds the fact that Paxos is above all the island of olives then logic as well as romance dictates that this is truly an Island of peace. 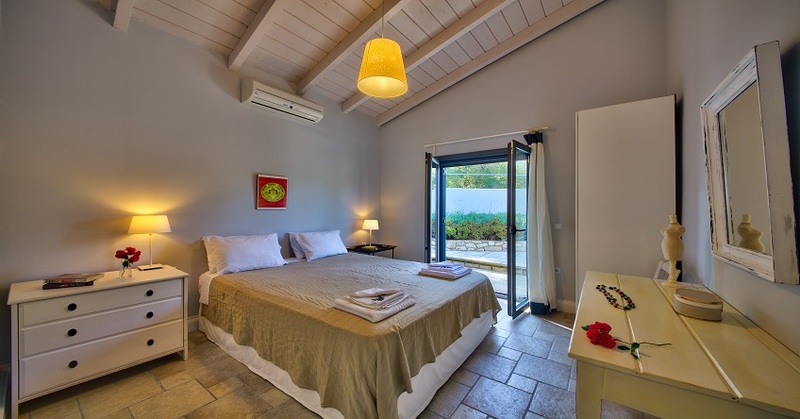 Certainly, the delightful Villa Kristina is worthy of the island’s name. 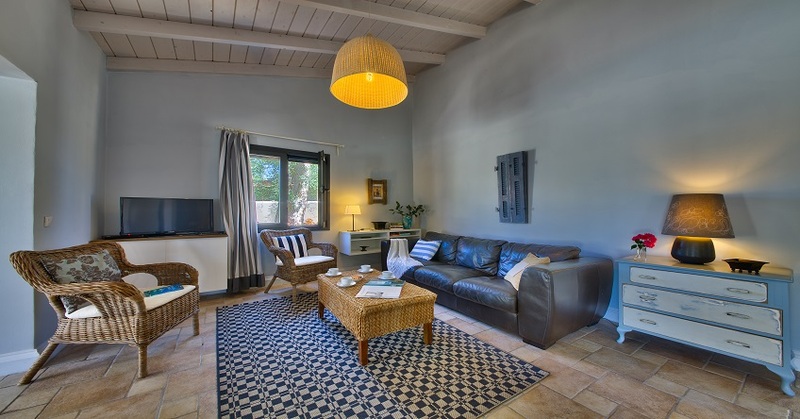 Enjoying a idyllic courtyard setting, surrounded by olive groves this is Paxos at its best. 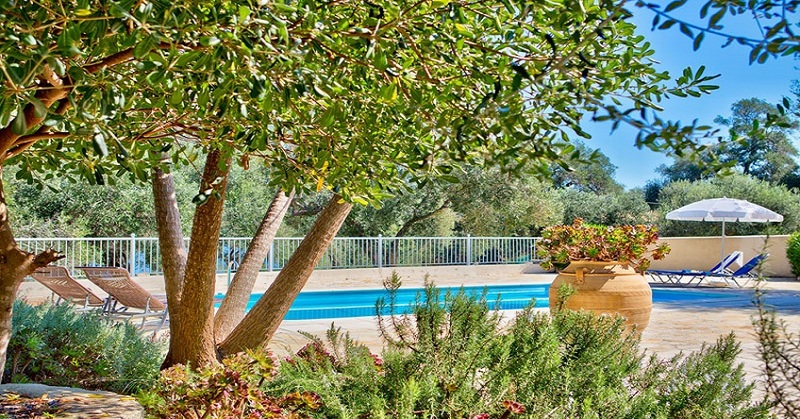 Even the private swimming pool with its flagstone paving has its own venerable but vigorous olive tree shading one corner. 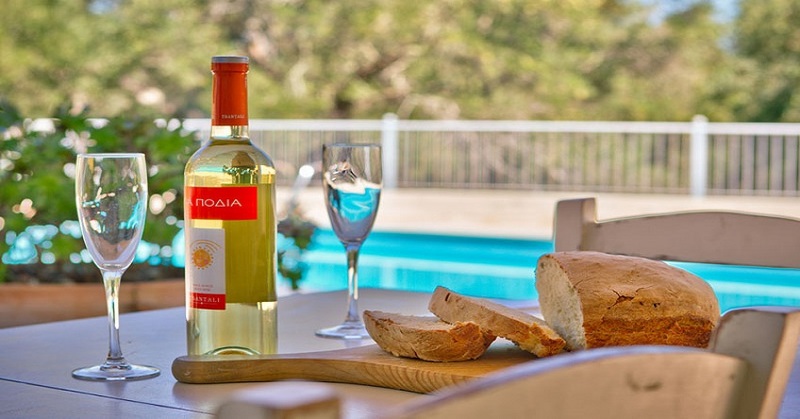 The paving itself, known as “plaka” is another natural product of this fascinating small island. 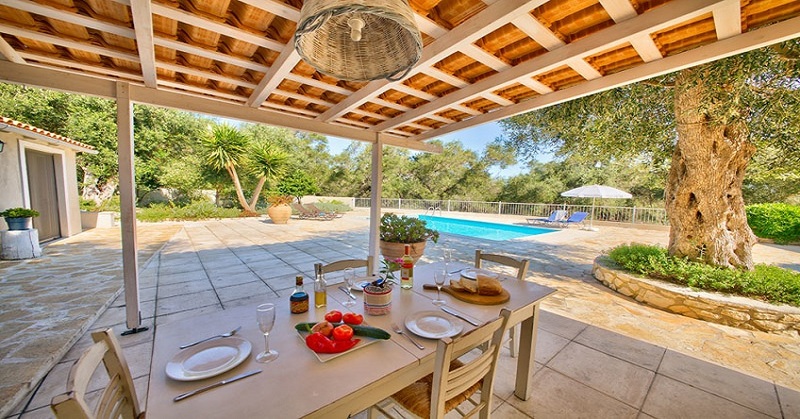 Another theory is that Paxos is actually derived from the old Greek word for these flagstones! 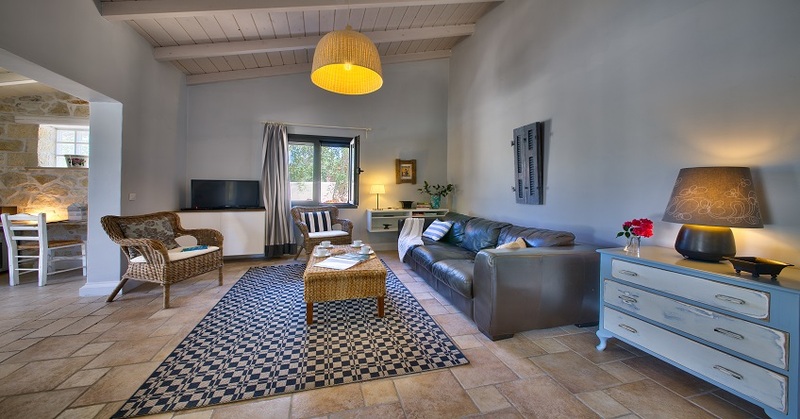 The interior of this two bedroomed villa with its living area opening out directly onto the terrace and pool is extremely comfortable and well appointed. The island capital Gaios, set on a sheltered channel off the Inner Ionian Sea has every facility also only a short drive away are the many coves and picturesque bays waiting to be explored or the spectacular cliffs of the West coast famous for their rock architecture and magnificent sunsets. 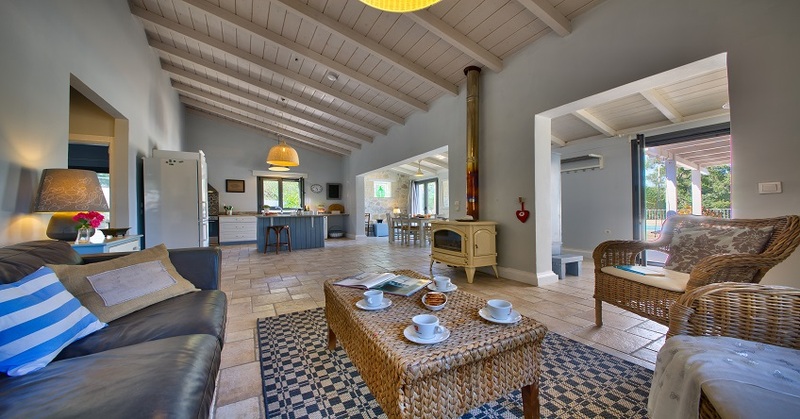 The island and the Villa Kristina might well be an etymologist’s dream, but for those seeking a truly relaxing and essentially Ionian retreat “far from the madding crowd” it is the perfect choice.